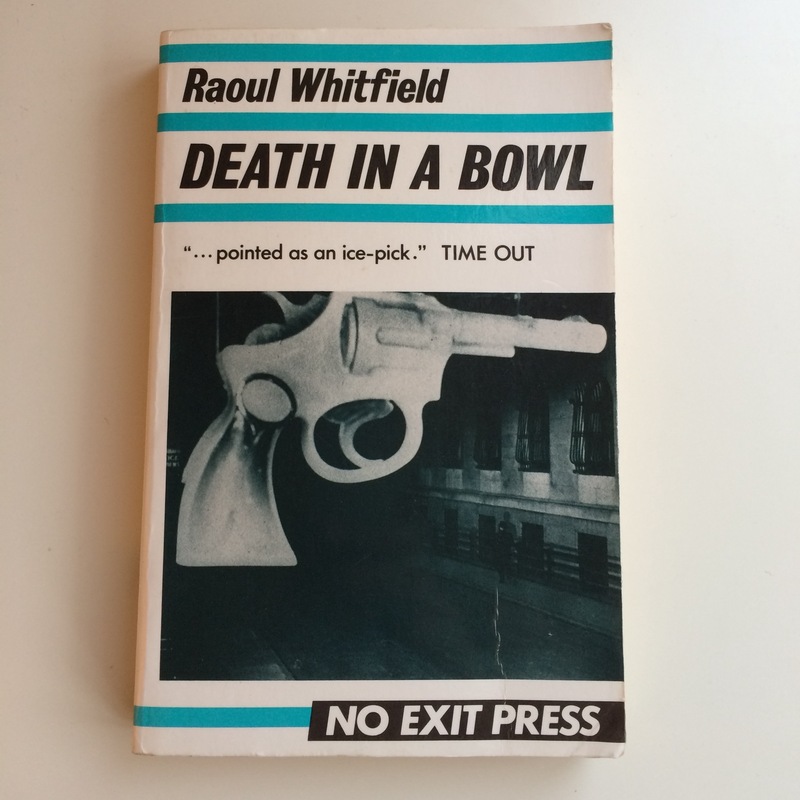 Raoul Whitfield was one of the first generation of hard-boiled writers published by Black Mask Magazine. His writing career mirrored that of his friend Dashiell Hammett – a high volume of short stories published in the pulps from the mid-1920s to the early 1930s, a relatively small number of novels (most of which were constructed by combining together several short stories, as Chandler would later do with his early novels), and then a fairly early decline into poor health and literary unproductiveness. He is a fairly obscure figure, compared to his Black Mask peers Hammett, Carroll John Daly (author of some of the earliest recognisably ‘hard boiled’ stories) and Erle Stanley Gardner (creator of the hugely successful Perry Mason series). Peter Ruber and Victor A. Berch’s biographical essay acknowledges Whitfield’s status as ‘Black Mask’s Forgotten Man’, and suggests that he was significant for the volume of work he produced during his decade of productivity, if not for the quality of that work. Many of his stories were set in Manila, and featured Filipino detective Jo Gar, while others were tales of air adventure (the Black Mask website has an example of his aviation stories: ‘Scotty Scouts Around‘, from April 1926). Death in a Bowl, published in three issues of Black Mask during 1930, and then collected into a novel in 1931, is mainly notable (particularly from my perspective) for its setting – Ben Jardinn is a private eye based in Hollywood, Los Angeles, predating Chandler’s Philip Marlowe by several years. The plot concerns the murder of a celebrated conductor, Hans Reiner, in the middle of a performance at the Hollywood Bowl (hence the rather bathetic title). Prior to the murder, Jardinn is hired by two clients – Reiner’s brother Ernst, a Hollywood director, and a scriptwriter with a grudge against Reiner – and Jardinn balances his seemingly contradictory obligations to each of them while manoeuvring events in the interests of his agency. The most interesting moment in the novel is an unexpected moment of vulnerability displayed by Jardinn. The scene is jarring enough that it’s tempting to consider it accidental, a misstep by a limited writer working quickly and more concerned with creating tension than consistent characterisation. But intentionally or not, it seems to prefigure the occasional moments of vulnerability and disorientation that Chandler will have Marlowe undergo in his novels. Reiner narrowed his eyes. His face was slightly flushed. Carol Torney snuffed her cigarette in the ashtray. “You don’t take this murder seriously enough,” she mocked. He grinned at her. “Business is business,” he said slowly, and reached for the phone. Inside the kitchen he stood motionless, listening. The dark had always bothered him; he was afraid. Conflicting thoughts filled his head; he had to fight down the desire to turn, go out. In the bungalow living room he could hear a clock ticking. It helped. It was a symbol of the commonplace. There is nothing in the preceding pages to really prepare us for this fear and uncertainty on Jardinn’s part. His general demeanour is flippant, unruffled; he appears no more than mildly irritated by the intricacies of the case and the potential treachery of his colleagues. That he is not merely anxious here about Carol Torney’s safety, but actually afraid of the dark and tempted to flee, is genuinely striking. A child in the dark, gripped with fear, comforts himself by singing under his breath. He walks and halts to his song. Lost, he takes shelter, or orients himself with his little song as best he can. The song is like a rough sketch of a calming and stabilizing, calm and stable, center in the heart of chaos.